The stars of the match in their final bout for victory. It’s a great time to be a sports anime fan – to be a Haikyuu!! fan, and to be a Tsukki fan! Continue Reading "Haikyuu!! : Karasuno Koukou VS Shiratorizawa Gakuen Koukou – The Best Match Yet"
Welcome back, Haikyuu!! Show them other sports anime how it’s done. Continue Reading "Haikyuu!! : Karasuno Koukou VS Shiratorizawa Gakuen Koukou – 01"
What a season it has been – there’s been laughs, drama, plenty of development across the cast, and it all ends with the beginning of what is bound to be the best showdown to date. Continue Reading "Haikyuu!! Second Season – 25 (END)"
It’s a great time to be a Haikyuu!! fan. Not only was this one of the most thrilling (and rewarding) episodes to date, but we’ve already got a third season confirmed for the end of the year. Get hyped! Continue Reading "Haikyuu!! Second Season – 24"
The semi-finals match is still underway, and there’s a Mad Dog in need of taming. Continue Reading "Haikyuu!! Second Season – 23"
This will be forever known as the Yamaguchi Episode. Continue Reading "Haikyuu!! Second Season – 22"
This Karasuno vs Seijou rematch is a serious contender for the best volleyball match in all of Haikyuu!! Continue Reading "Haikyuu!! Second Season – 21"
This episode was so good it made me want to punch a wall just for the thrill of it. Continue Reading "Haikyuu!! Second Season – 20"
Get ready for the destined rematch, it’s gonna be hype. Continue Reading "Haikyuu!! Second Season – 19"
This was a very “GAHHHHHHHHHH” episode of Hypekyuu!! Continue Reading "Haikyuu!! Second Season – 18"
This week’s Haikyuu!! is all about the past, present, and future: of running away, embracing the moment, and preparing to take on the captain’s helm. Packed with plenty of emotional moments, this was arguably this season’s best episode yet. Continue Reading "Haikyuu!! 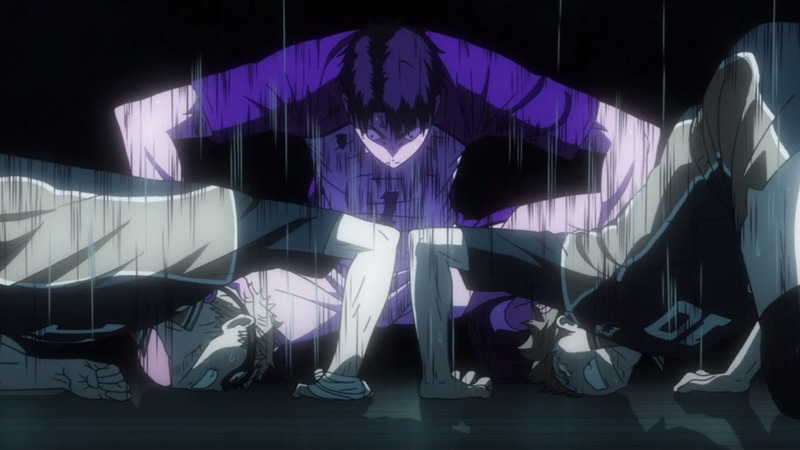 Second Season – 17"
This was perhaps the most polished episode of Haikyuu!! to date – the action was slick, the spikes had impact, and that ending is sure to be a game changer. Continue Reading "Haikyuu!! Second Season – 16"
This Johzenji match is such good fun – it’s delivering high energy, brilliant animation, constant action, and is showing how important it is to have a strong-willed captain leading a team to victory. Continue Reading "Haikyuu!! Second Season – 15"
Remember when I said Tsukki was pretty much going to be promoted to a main character? I wasn’t kidding – he really is. Continue Reading "Haikyuu!! Second Season – 14"